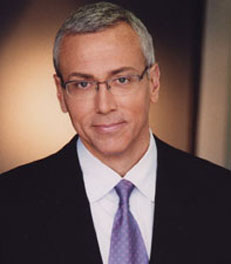 Dr. Drew Pinsky is not only the host of the long-running radio program Loveline, but is also the host of the popular telvision series Celebrity Rehab with Dr. Drew. 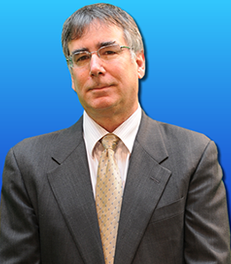 Dr. Drew is board-certified in internal and addiction medicine, still runs his own private practice, and is also on the staff at Huntington Memorial Hospital. He has written two books, The Mirror Effect: How Celebrity Narcissism is Seducing America and Cracked: Putting Broken Lives Together Again, and they both made it to the New York Times Bestseller List. Dr. Drew received his M.D. from the University of Southern California School of Medicine and soon after became Chief Resident of Huntington Memorial Hospital. He currently lives in California with his wife and their teenage triplets. John Adams is the co-founder and president of one of the largest international dating sites in the world, A Foreign Affair (LoveMe.com), giving him priceless experience and understanding of online dating and personal relationships. 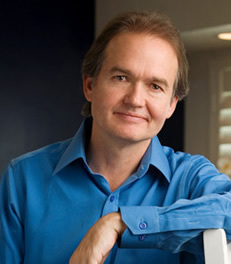 John Adams graduated from Arizona State University in 1986 and received a Bachelor's of Science degree in business. Not only has A Foreign Affair become the largest matchmaker for foreign singles on the planet, but it has grown to include sixteen company offices worldwide and a network of over 150 affiliate agencies. Mr. Adams has personally escorted hundreds of group romance tours and has attended over 300 introduction socials. John Adams has appeared on The Today Show, The Dr. Phil Show, 60 Minutes, CNN, Inside Edition, MTV, the Discovery Channel, and news affiliates of ABC, NBC, CBS, FOX, A&E, and the BBC. John Adams and A Foreign Affair have been featured in Time Magazine, The New York Times, The Washington Post, Bloomberg Newsweek, Maxim Magazine, Penthouse, Marie Claire, FHM Magazine, and more. Phoenix is the home of A Foreign Affair's main headquarters, and is also the current home of John and his family. Renee is a master at connecting people and the author of Love Mechanics & soon to be released Get Ready for LOVE. As the President of Rapid Dating and Rapid Networking.com for 17 years,she has successfully hooked up thousands of people for Love, friendships, and business connections. Renee is a widely acclaimed and sought-after inspirational speaker and dating coach/consultant whose life's work is devoted to educating men and women about how to become fulfilled in their own lives, develop lasting relationships and find true love. She is truly a "matchmaker for love and business" and is now working with corporations and hosting Rapid Networking sessions at popular marketing and motivational conferences. 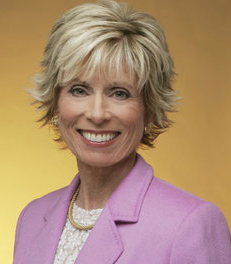 Dr. Laura Schlessinger offers no-nonsense advice infused with a strong sense of ethics, accountability, and personal responsibility; she's been doing it successfully for more than 30 years, reaching approximately 8.25 million listeners weekly. She's a best selling author of eleven adult books and four children's books, which range from the provocative (New York Times chart topper "The Proper Care and Feeding of Husbands") to the poignant (children's book title "Why Do You Love Me?"). Her support of children and family values is legendary, and she is, indeed, "her kid's mom." 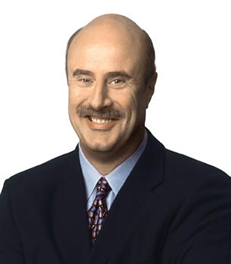 Dr. Phil McGraw hosts the second most popular daytime talk show on television, and has helped millions of people through rough times by using his "get real" approach to life. He has earned a B.A. from Midwestern State University, as well as an M.A. and Ph.D. in clinical psychology from North Texas State University. His emphasis was in clinical and behavioral Medicine. Dr. Phil has written six books that all hit the New York Times Bestseller List, including Life Strategies: Doing What Works, Doing What Matters, and Relationship Rescue: A Seven-Step Strategy for Reconnecting with Your Partner. He also started The Dr. Phil Foundation, a charity offering help to families at risk. He currently lives in Los Angeles with his wife and two sons. Dr. John Gray is the best selling relationship author of all time. Men are from Mars, Women are from Venus, released in 1995, is the New York Times number one best-selling book of the last decade. Following the success of the book, Dr. Gray began writing a full series of Mars-Venus books that have found huge success all over the world. Dr. John Gray has sold over 50 million books, printed in over 45 languages. His latest book is entitled Venus on Fire, Mars on Ice: Hormonal Balance – The Key to Life, Love & Energy and uses humorous yet common observations to explain the many connections between personal interactions, love, desire, hormones, and health. His books are generally helpful for all ages of people in relationships.